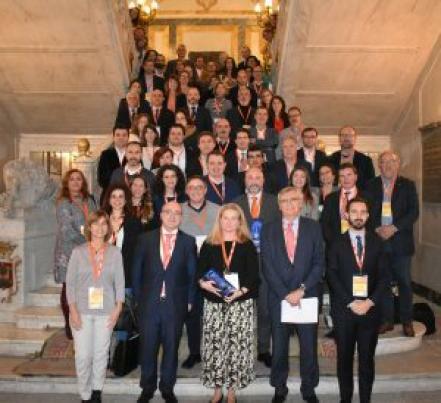 The Cluster has been awarded, in the Spanish Congress of Clusters 2018, for its initiative of development of global solutions by value chain. On December 10th, MetaIndustry4 participated in the VI National Congress of Spanish Clusters that took place in Madrid. A meeting point where the Spanish clusters have been valued as a synonym of solid organizations, which offers competitive advantages to the companies that make them up. This event counted on the participation of representatives of innovative companies, clusters and regional development and innovation agencies, highlighting interventions such as Ulla Engelmann, Head of unit, Advanced Technologies, Clusters, social economy of the DG Grow from the European Commission, Jordi Llinares, Deputy Director for Industry Digitalization and Collaborative Environments in the Ministry of Industry, Commerce and Tourism, and Antonio Novo, President of Clusters.es, the Spanish Clusters Federation. 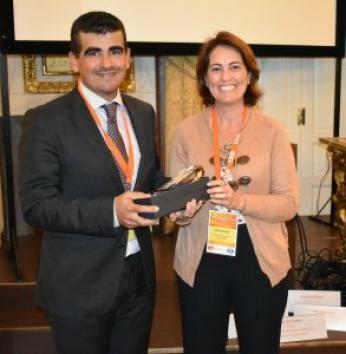 Into the framework of the Congress, MetaIndustry4 was awarded with the Prize for the Best Collaborative Project among Companies. The Cluster has been distinguised by the project of Development of Global Solutions by Value Chain, which in collaboration with more than twenty partners, has had aimed at boosting the internationalization of the Regional metal industry through the Integration in the global value chains. This initiative is based on a promotional tool to make known the Cluster industrial power in each of the areas to the International Market. The goal is offer to the Market global solutions for the value chain from the supplying, the manufacturing or the transport, to the advanced services and technology layers. In this sense, the cluster has chosen for the sum of the capabilities and specialization of the Asturian metal industry to gain international competitiveness. This project has given to the organizationa deep knowledge about the activities that its companies have done and the markets to which they work, which has facilitated the definition of the promotion actions and the search of the international opportunities in a segmented way in the value chains of Renewable Energies and Petrochemical/Oil & Gas. The development of this project has achieved and keeps obtaining results in three levels. At the Cluster level, the proposal has allowed to combine the interest, capabilities and industrial strengths of 20 companies in each of the chains that are added together, more than 900 engineers, more than 5,000 skilled workers and figures above 200,000 square meters of manufacturing facilities. These figures are a letter of introduction to any customer keen on finding suppliers of solvent solutions, with the capacity to respond to the highest standards, with more than 600 references in international projects in the most demanding markets. At the internationalization level, the project has generated in 15 months several business opportunities from countries such as Peru, Kazakhstan or Algeria. MetaIndustry4 has attended two international exhibitions, one of them as Cluster and in another, the Offshore Energy Exhibition 2018, in which it participated with its own stand and accompanied by 8 of the companies that are present in the value chains developed. On the third level, the methodology defined for the development of the value chain has aroused the interest of multilateral development banks interested in transferring and applying it in developing Latin American countries.